Marco is hiring - Marco Beverage Systems Ltd.
Marco is looking for an SP9 Champion to base themselves in London. This will be a short term contract but could lead to a full time role in the future. 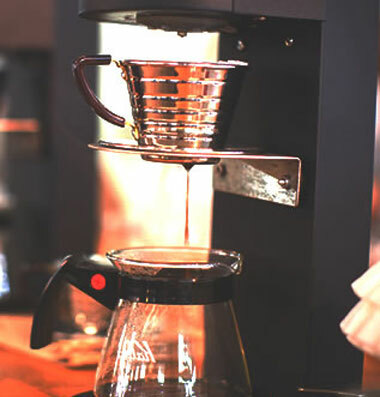 Marco has launched the exciting small batch brewing system the SP9. Developed as part of Marco’s range of coffee brewers this new product is fun. It’s a single serve brewer with a minimal counter-top footprint and a striking design profile. It’s something that would look perfect in a fine cocktail bar or cutting edge cafe. You can learn more here. To work directly with our roaster partners to develop end user awareness and orders for this new exciting product. Explore opportunities in high end office coffee provision. Interested? Get in touch with Daniel@marco-bev.co.uk for more details.